I'm going to keep this one plain and simple for you—Zara has tons of insanely good fall pieces right now, and my online shopping cart is busting at the seams. Not to brag or anything, but I'm pretty sure the items I chose are some of the best items on the site right now. I mean, there are 53 items in there right now, for heaven's sake. Ahead, I'm giving you a little taste of how lit my Zara shopping cart is. The best fall clothing available at the retailer is probably sitting right here, meaning shopping for those new-season items you've been craving will be a walk in the park. Ready for a massive Zara shopping haul? The shoes you'll wear for the rest of summer and well into fall. Since this color goes with nothing, wear it with everything. Turn every day into a glam day. A coat as a dress? I can swing it. Scarf prints are apparently all the rage. 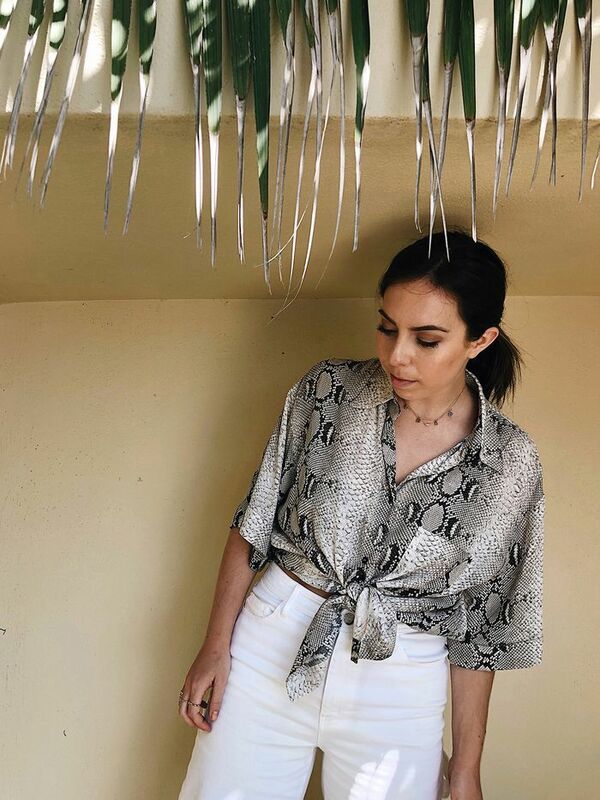 We'll take snake print pants! But make 'em patent! This girl's whole 'fit is goals. Grandma's closet, but make it fashion. The updated way to wear a suit this fall. Zenon would approve of this message. And Professor Snape would approve of this one. The wear-with-anything shirt your fall wardrobe needs. The crop top of your dreams. The '90s called. They want you back. Earth to shopper—you need this shirt. Slip this over everything for that extra edge. Elbow patches are not something you see every day, so obviously you need this. Take this from your desk to your date with ease. Um, these are way too good. Name one thing that sounds cozier than a cashmere bodysuit. This season, embrace color with open arms. The naked shoes of your dreams. Childish in all the right ways. Wear this bad boy as a cardigan or a dress. Neon is a thing; get used to it. When you have a meeting at 2 p.m. but golf at 4 p.m. Statement outerwear will always bring a smile to your face. Check it out. Get it? Fancy polo shirts are something we can really get behind. Slither into these when you want to turn some heads. The kind of shoes your jeans are waiting for. Meet your new party dress. Major pants for a major lady. This minimalistic jacket is a no-brainer. I have this in rust but need it in black. Another pair of jeans because why not. Swap your white T-shirt for this every once in a while. I plan on wearing this as a bra underneath oversized blazers. This skirt is Instagram gold. Stepford dad style to the max. The fall version of your favorite sneakers. Next up, check out the one shoe style celebrities never wore in the '90s.